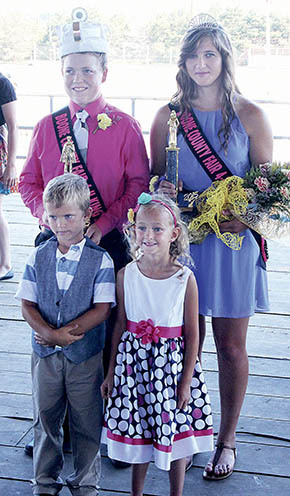 Two 4-H members, Fina Choat of St. Edward and Brody Voichoski of Albion, were crowned as royalty during the Boone County Fair last Sunday morning, July 12. Fina, daughter of Daniel and Teri Choat of St. Edward, is a 10-year 4-H member. Brody, son of Roger and Datrece Voichoski, has been involved in 4-H for 11 years.